Replica of the training knives of GGM Ip Man. The original knives were given by GM Ip Ching to GM Kwok as a present during Bai Si ceremony. 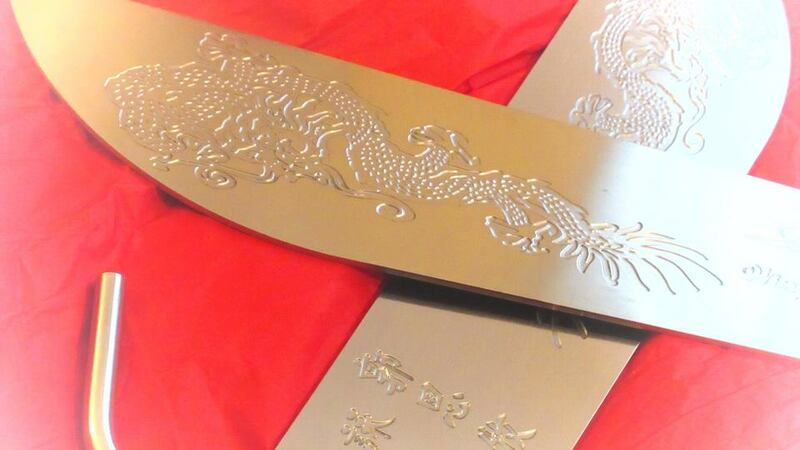 Be the proud owner of this beautiful replica of Ip Man’s own training knives. 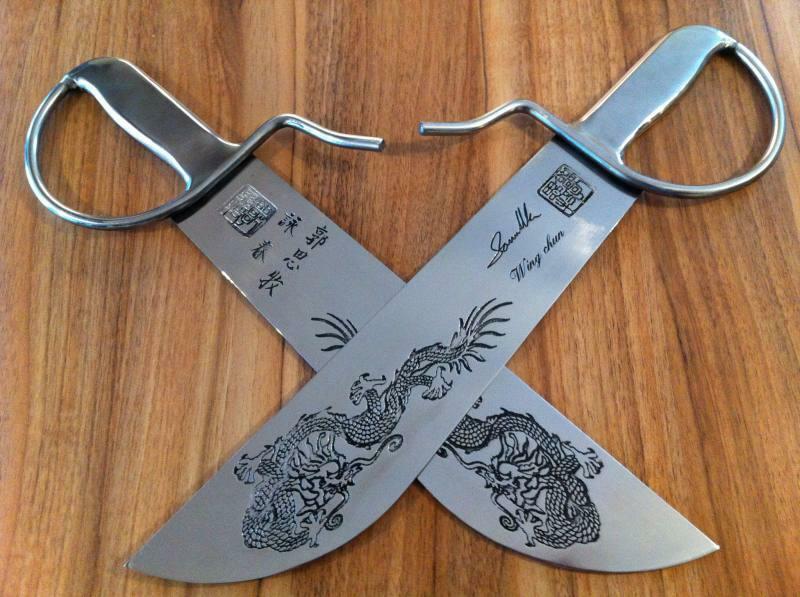 It has a beautifully engraved dragon on each blade as well as the seal and signatures of Grandmaster Samuel Kwok. 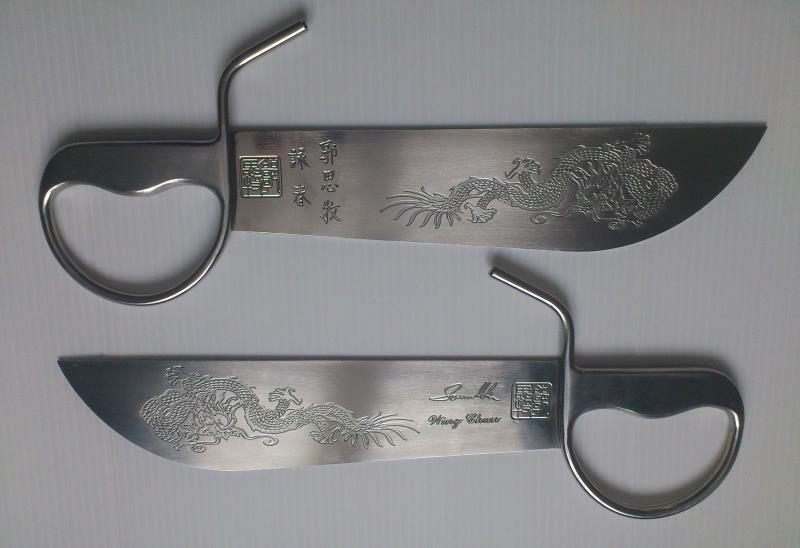 The inside face is engraved ‘Ip Man Wing Chun-葉問詠春’ in chinese. 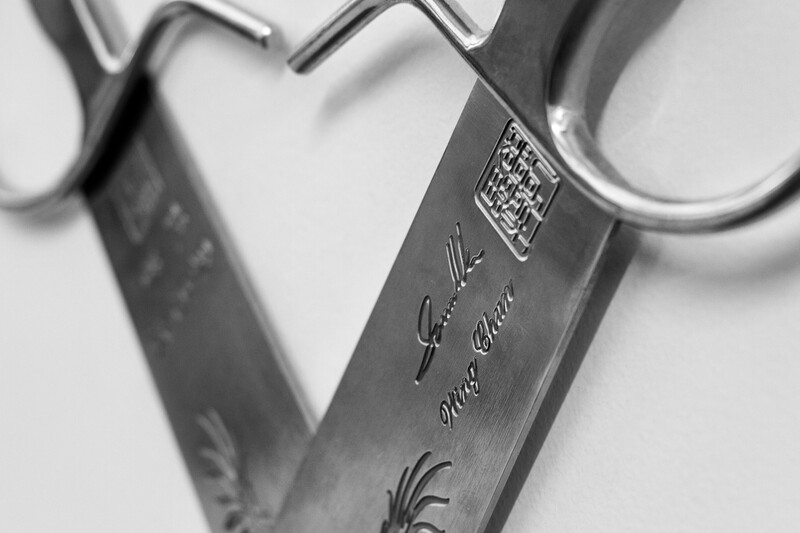 The knives are made completely of stainless steel including the stop and handle. All joints are welded and ground smooth and the whole knife is sturdily made and gleamingly polished. 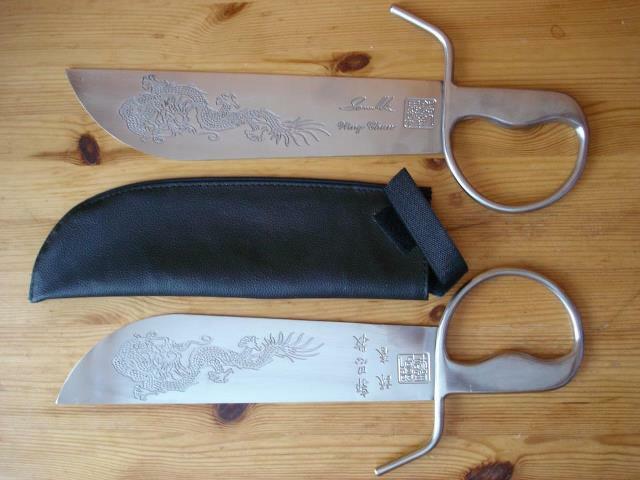 In accordance with the original Ip Man knives the blades are approx. 330mm long and 75mm at the widest width. A black PU sheath is also provided free of charge for your carrying convenience. The weight is quite right with a good balance for thrusting strikes or slicing actions- not too heavy to strain the wrist and not too light to feel too ineffective when chopping out. It is a training weapon and the edges have not been sharpened to minimize any grilling by the law. 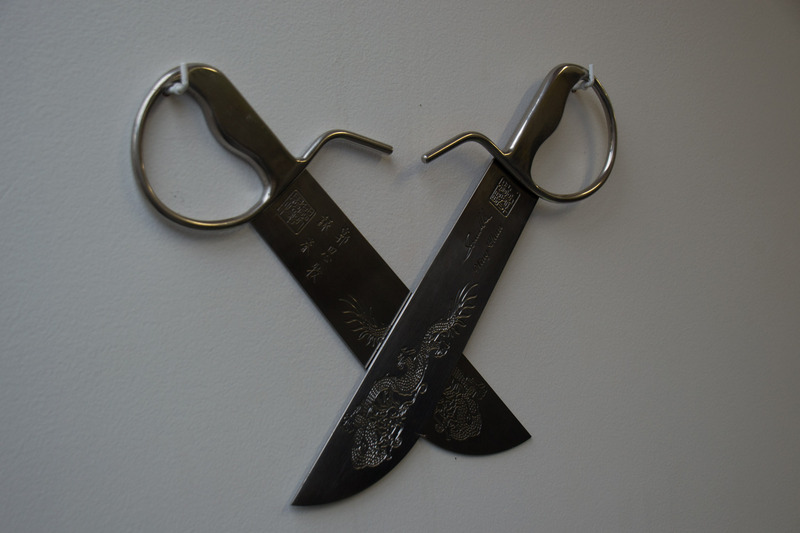 Even if you have not learned the knives it is a beautiful display on the wall to let your friends know you are learning Wing Chun of the Ip Man lineage. Great knives to handle and so beautiful!